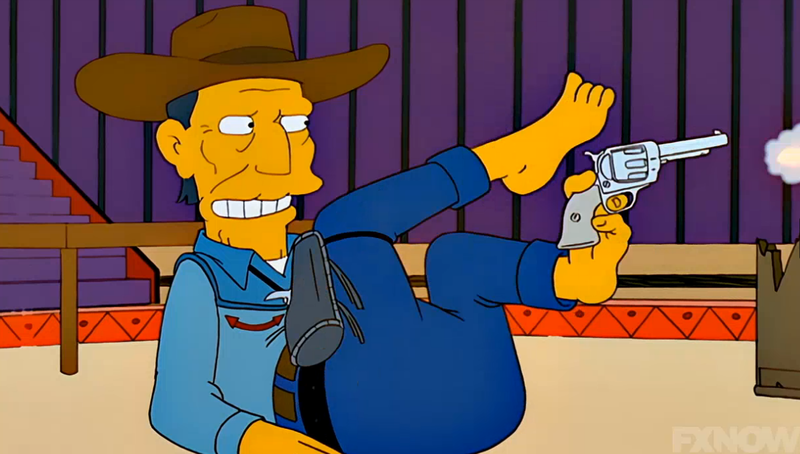 Howdy folk! 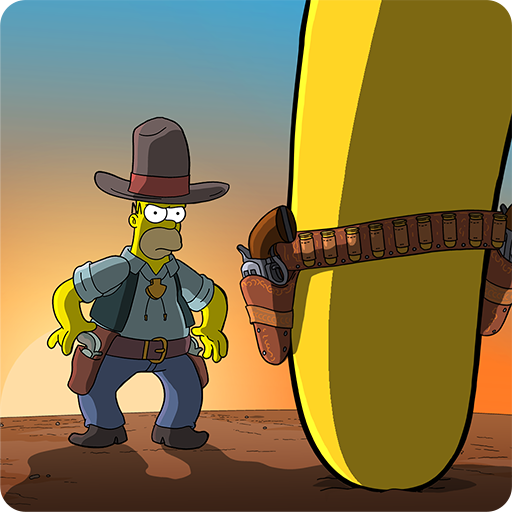 Hoping you’re all enjoying the Wild West event as we are as it is one of the best events to ever hit the game in my opinion. It is a huge event as far as content, changes, dates, etc. which means tons of topics to cover to best help our readers. Deciding which topic to pick first or next can be challenging, however, one topic I know I can’t go wrong with is donuts and the things that cost them. The decision to buy premium content can be one of the hardest to make while playing this game so I am going to try to help make the decision a little easier for you all. What follows is coverage of every item released with Act 1 that is considered Premium and costs donuts. Obviously all of the event prizes can be rushed with donuts but we will not consider them full-premium for now as the intended main route to obtain these items are by way of earning event currency. There are a few items in this article that have not been released as of the date of this posting. Those of you who do not wish to be spoiled please do not continue. Act 1 runs from April 19 – May 3 and includes both new and returning content. The stock was first released during the Clash of Clones event that was released on August 19, 2014 and was a parody of the hugely successful Clash of Clones mobile game. 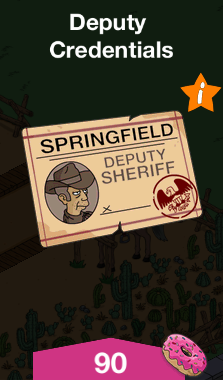 Believe it or not but this is different from the Cactus Patch released with the Terwilliger Event. 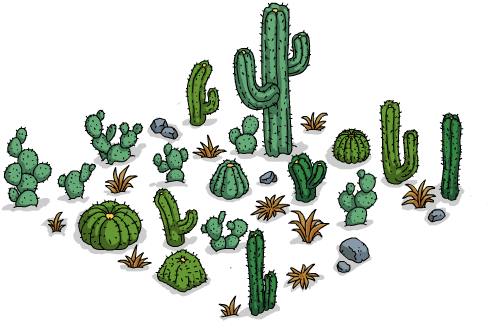 The Cactus Patch previously released had a dirt base whereas this Cacti has a clear base and blends into whatever surface you place it on. It’s not the Wild West without a totally random and seemingly purposely placed patch of quicksand. 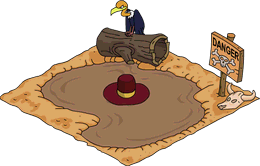 There are a number of episode appearances of quicksand throughout the shows history and even everyone’s favorite down-on-his-luck Hans Moleman falls victim to quicksand wearing a hat almost exactly like the one in the game item. 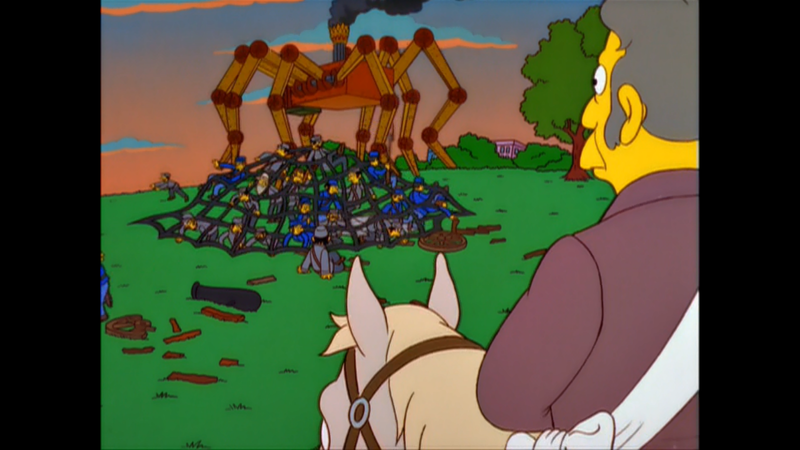 The giant mechanized steam-punk contraption known as Frink’s Mechano Spider comes to us from a film titled Wild Wild West which starred Wil Smith and Kevin Kline. One of the main villain’s of the film. 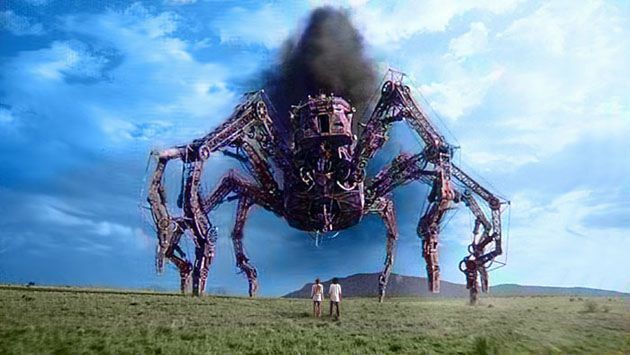 Dr. Loveless creates an array of “implausible steam-punk technology and bizarre mechanical inventions” one such being the giant mechanical spider. 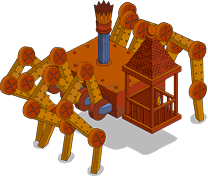 This crazy invention appeared in an episode of The Simpsons titled The Sweetest Apu (Season 13, Ep 19) and was operated by none other than Professor Frink. 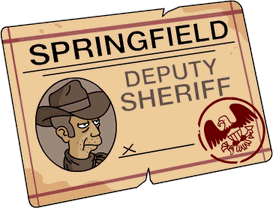 The Deputy Credentials card is the Wild West event’s version of the various licenses of previous events that increase your payouts when visiting neighbors and completing the event-related tasks. 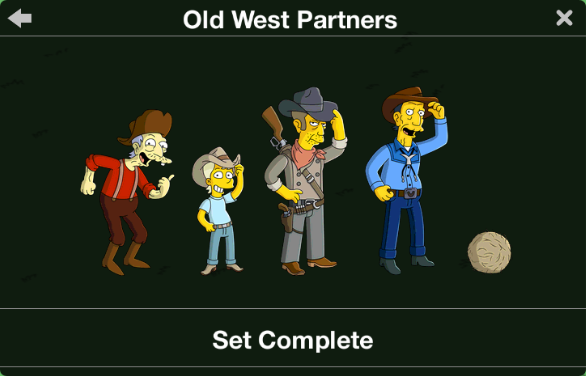 That completes our brief coverage of all premium items that are contained within Act 1 of the Wild West Event. There will be a full in-depth post for certain premium items with our Should I Buy…….? 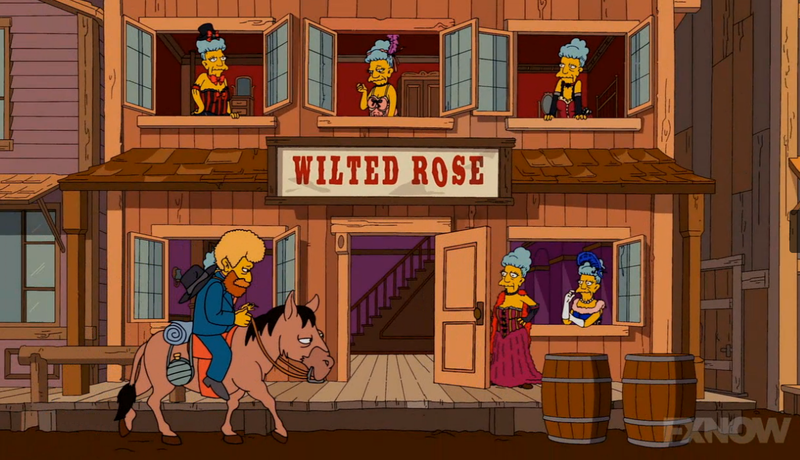 Wild West Edition posts which will come shortly. Hope this helps! Who’s Luke Stetson and when do we get him! 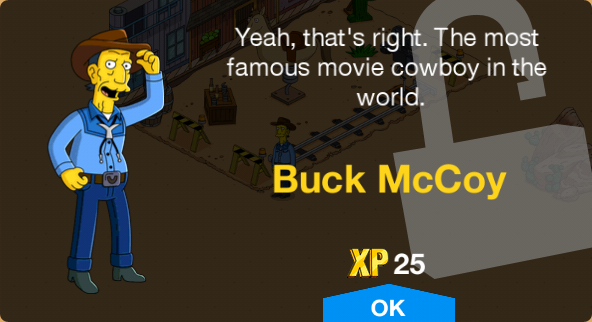 Really tumbleweed as a character!? Love the blog so much!!!! Thanks! When are we going to get him? Thanks! Looking forward to it! 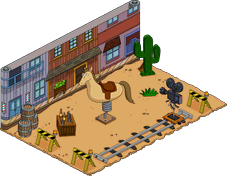 Is the tumbleweed going to be a NPC or going to have tasks! 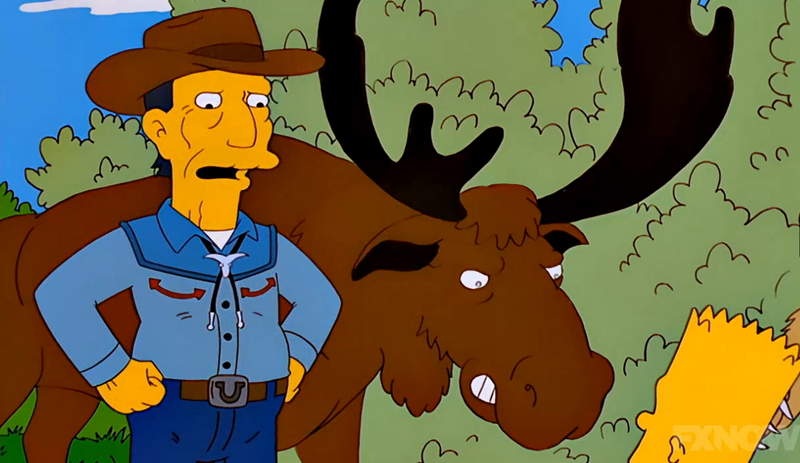 Were the blazes are the cows and the covered wagons?? ?